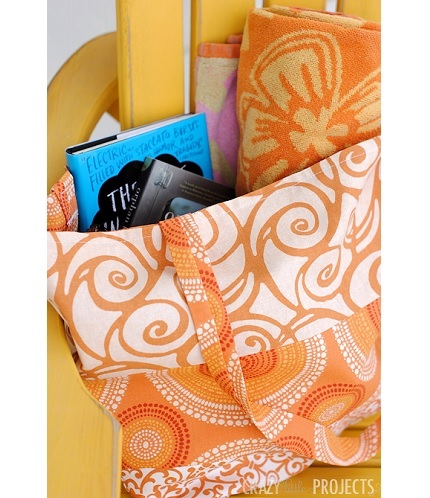 This Summer Tote by Amber from Crazy Little Projects is made from bright, sunny fabrics and has plenty of room to carry around summertime essentials. She shares a tutorial showing how you can make one. She shows it with a couple of towels and a magazine for a trip to the pool. You could also pack good sized picnic in there, or maybe a change of clothes for an overnight trip. You can find the tutorial at Crazy Little Projects.